Let your business account think along with you! The Kontist account enables the self-employed to neatly split business from private and saves you time and energy while doing so. Forms, lost receipts, stacks of account statements; Kontist ends all of that and saves you valuable time for your productivity. Instant access to your IBAN and your Kontist account within 15 minutes. 24/7 secure access to your account via the Kontist app. Paperless account opening and card order through the app. Competent and kind support via live chat in the app. Kontist Premium’s unique add-ons are integrated directly with the traditional banking features. Kontist can be linked seamlessly to popular accounting softwares so you’ll save lots of time and never forget a receipt again. Additionally, your taxes are calculated in real time after every incoming transaction so you’ll avoid surprises from the tax office. 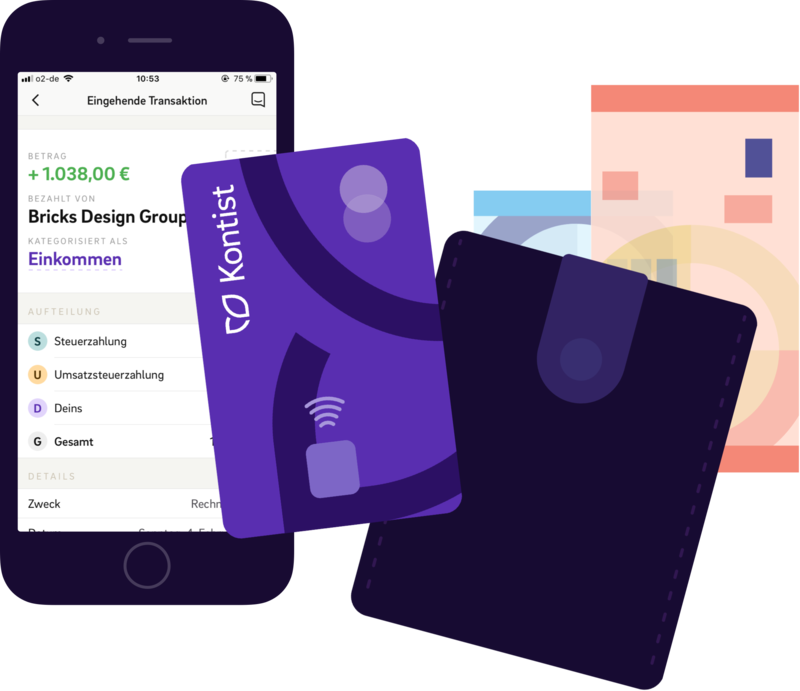 Kontist is easy to use, packed with add-ons and significantly more affordable than traditional banks. Most of all, we’re transparent. We offer our basic account for free and Kontist Premium for a fair and clear monthly fee. Your money is always safe with Kontist. All accounts are managed by our partner solarisBank, a German bank licensed by the German Federal Financial Supervisory Authority (BaFin) and the European Central Bank. Your money is kept in a regulated German bank account. Your balance is protected by the German deposit insurance. Your funds will not be invested, transfered or lent. You can access your funds at any time.